I really can't get enough of bright lips at the moment, it might be because the weather is still so dull but a strong pop of colour really seems to cheer me up! I picked up the Power Pouts in my order of MUA goodies and they were the first product I tried on. These are a tint and balm in one and remind me in texture a little of the Revlon Lip Butters but are more pigmented and I think glossier as well. These are in chubby stick style- a thick pointed wand of colour that twists up out of the holder and can be held like a pen. I really like how easy it is to get a defined shape with these as well as being able to get precisely under and between the lips, which I think is a really important step to making lips look bigger and more voluptuous. 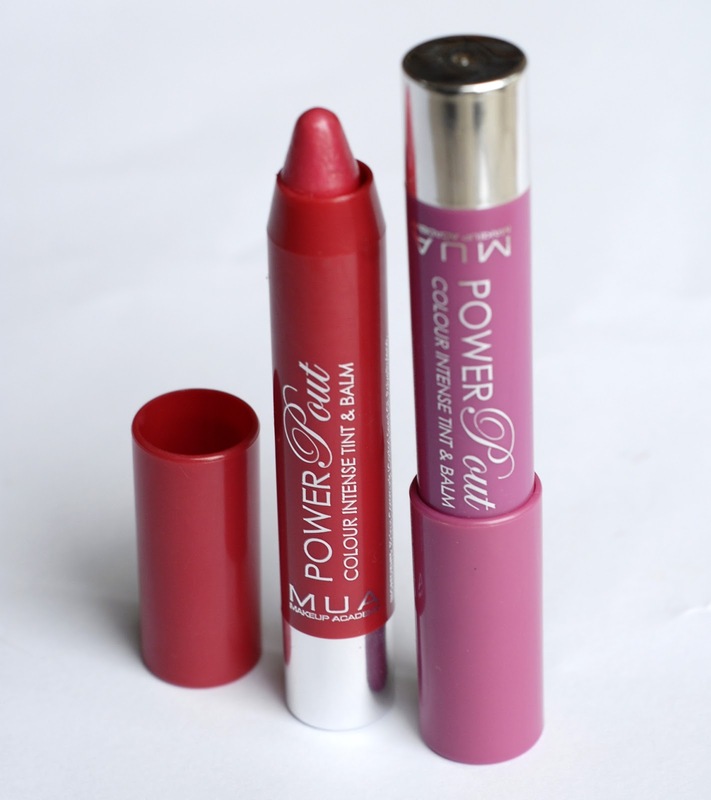 The Power Pouts have a very faint minty scent but not much of a taste and unlike the Out There glosses, the colour stays on the lips long after the glossy balm has sunk in- they do tint the lips for a good while after but not in the strong pigmented way that a stain would. I'm pretty in love with these- theres no faffing about with lip liners and drying lipsticks and then a gloss on top as its all in there waiting for you. Disaster struck a little the other day though with the packaging as I put the Irreplaceable shade in a side pocket of my bag and throughout the day the cap came off, took a nice chunk out of the side of the balm and mashed it around my bag which I wasn't too happy about! I think to take them around I might have to tape the lids down, not so sophisticated but at least will prevent further disaster! Of the two that I have, Irreplaceable is my favourite as I tend to prefer bluey pinks over reddish ones. I was a little disappointed with the shade choice as I would've liked to have seen more light colours but hopefully with a little encouragement MUA will extend the range! 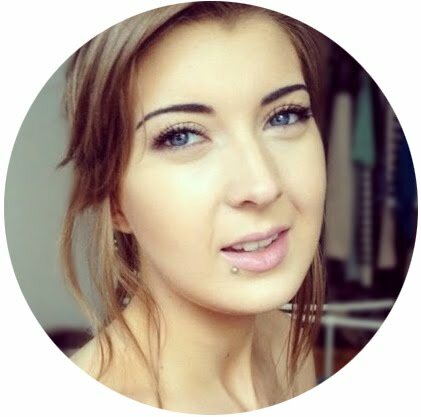 The MUA Power Pouts are available from Superdrug and MUAstore.co.uk for just £3. Oooh! When I saw the first pic of these, I so wasn't expecting you to say they're MUA! Brilliant! They look lovely, can't wait to try one myself. Love your nail art too. Can't wait to meet you on Saturday! Yeh I think the packaging makes them look more expensive! Thank you, it was meant to be leopard print, but from the looks of them Ive never seen a leopard before haha.